We provide customized business solutions to our worldwide clientele with strength derived from our business insights that penetrates opportunities across the globe, customer service excellence and a resourceful staff of dedicated employees. Our 20-year legacy continues to reach a global clientele across Europe, Asia, Africa and America globally. 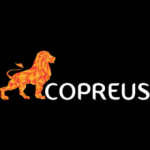 Today, Copreus is a leading BPO Company headquartered in the European Union.